We firmly believe that travel is an excellent way to continue our education in our adult years. With schooling behind us, we can still learn lots of interesting things about this big, blue marble we all call home. 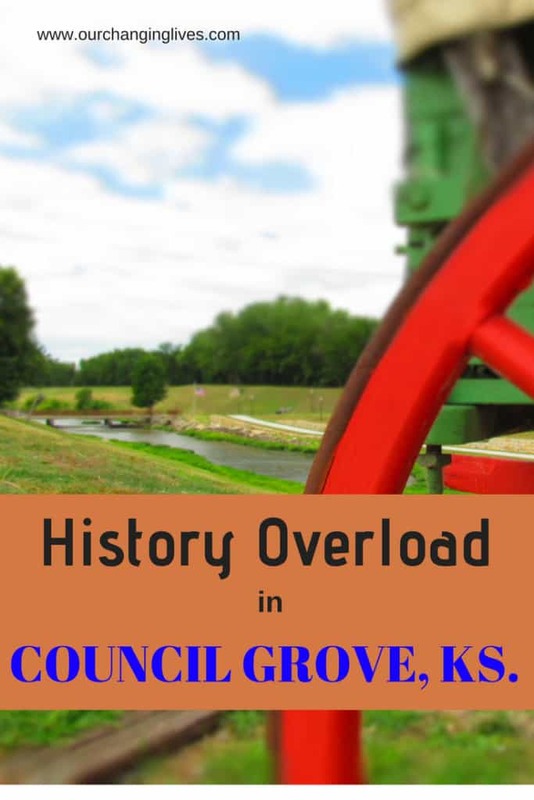 One of our favorite subjects is history, and Council Grove gave us plenty of it. When we discovered that this town of 2200 residents boasted 25 historic sites, we had to wonder if that was the largest per capita volume in the United States. To put it in perspective, that is one site for roughly every 88 residents. To match that amount, a city like Boston (685,000 residents in the actual city limits) would have to have about 7784 historic sites. So you can see from this illustration that Council Grove has plenty of history to explore. We want to thank Visit Council Grove for their hospitality. Rest assured that all opinions are our own. Our visit to Council Grove began with a walking tour hosted by Diane Wolfe from the local tourism bureau. A large number of the sites are located along or near Main Street, which closely follows the original Santa Fe Trail path. A short jaunt led us to the remnants of the Council Oak. This is the spot where the representatives from the Indian tribes living in the area met with U.S. ambassadors to strike an agreement over the use of the trail. With this treaty in place, it signaled business full speed ahead for wagon trains. Nearby we came upon two statues that commemorate important demographics from pioneer days. The Madonna of the Trail statue is one of twelve found around the United States. Each one is placed in a state where the National Old Trails Highway ran. Just across the street we found the Guardian of the Grove statue. 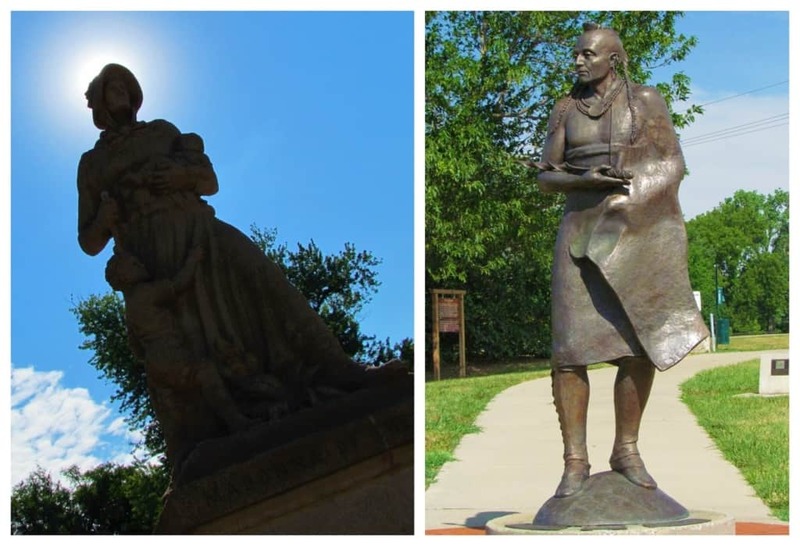 This bronze was created in 1998, by a local artist, to pay homage to the Kanza Indian tribe. For those not familiar with Kansas history, the tribe was also called the Kaw. Heading further east, from downtown, we came to Durland Park. Here the city has assembled a variety of historical artifacts and buildings in one centralized location. (Perfect for those not wanting to do a lot of walking.) A replica of the original Calaboose (Old jail) shows how uncomfortable it would have been to be incarcerated in the mid-1800’s. We are pretty sure the hot summers and cold winters of Kansas would have been a great deterrent to repeat offenders. An original “Katy” Depot (Missouri-Kansas-Texas) sits nearby. It is one of only two that still reside on their original location in Kansas. Just a bit behind it we found the Sylvan Park Depot. It was interesting to find that a man built his own personal depot, on the railroads right-of-way. It was used by his wife and visitors to visit their ranch. It ended up being the last privately owned depot. We never even knew anyone had built their own or that the railroad would have serviced them. Like most stops along one of the great American trails, Council Grove was serviced by a river. Fresh water was a vital commodity that travelers were always looking out for. The quietly meandering Neosho River offered a chance to refill their water barrels, before heading out on the Santa Fe Trail. These days the city has developed a beautiful park along the banks. 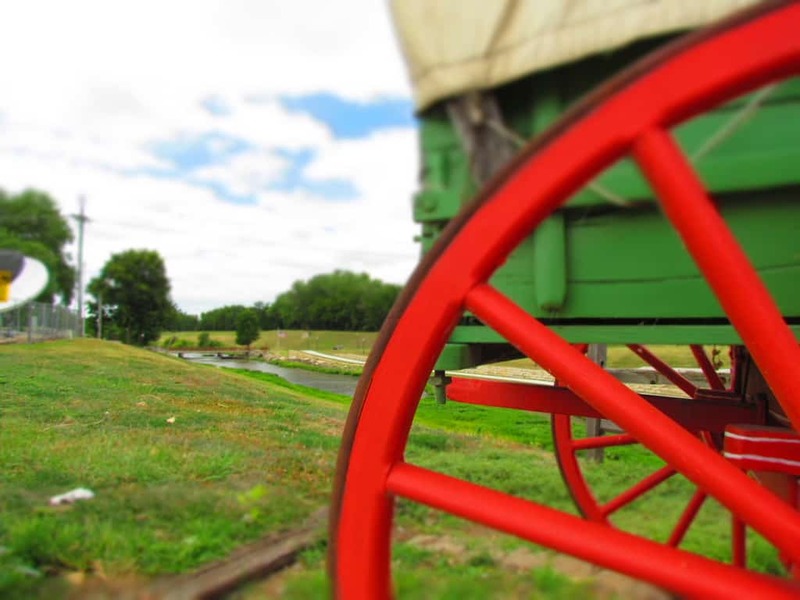 While the river brought life sustaining water, it also required the wagon trains to ford it to continue their journey. 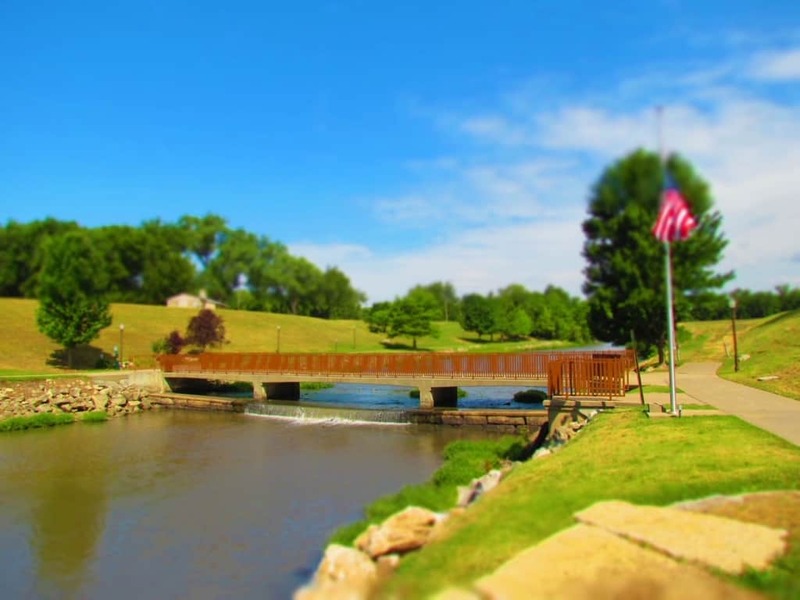 This portion of the Neosho River offered the best option, but it would still have been a potentially treacherous activity. Recent rains would have swollen the flow, and brought with it dangerously faster currents. It took experienced trail bosses to navigate these perils. These days the banks have been built up with flood stopping levees, but the original direction can still be seen reflected by the brick trail in the picture to the far right. Diane informed us that our next stop was a little off of Main Street, so she felt the best path was to explore a little of the river-walk. We were more than happy to hear this, since we wanted to see more of this wonderful area. As we made our way south, we spotted a local trying his luck on the bank. I was hoping to catch a picture of him landing a catch, but my exploration partners had moved ahead without me. I hurried along and caught sight of them passing over a converted train trestle. We had an opportunity to tour Seth Hays’ House, that was built in 1867. While he never married, he did adopt a daughter who he raised along with his slave Sarah Taylor, who went by the name Aunt Sally. After slavery was abolished, Sarah remained with Seth, and is now buried near him. The home is decorated with period pieces and presents a view of life from the late 1800’s. The lucrative businesses that Hays operated made him a man of considerable wealth, so the home was furnished quite nicely for the time. We can still remember those childhood trips when our parents would remind us it was the last stop for a while. It was a signal that all business needed to be completed, because we would be heading out on a long haul. Can you imagine this same thing occurring in the 1800’s? The Last Chance Store was erected in 1857 and served for a brief period as the final stop for supplies prior to heading across the open prairie. It was 600 miles to Santa Fe, so wagon trains needed to be stocked up for the journey. And we thought we had it rough when we had to sit still for a few hours. 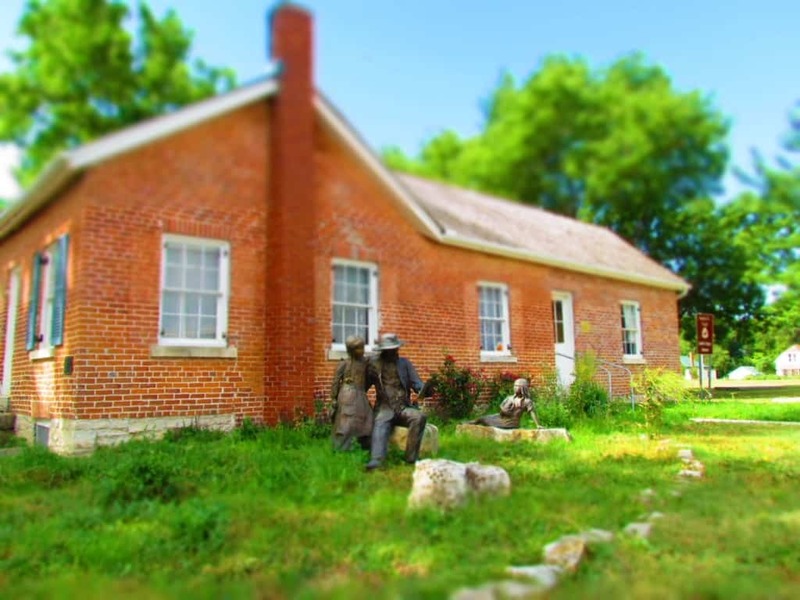 These are just a handful of the historic sites that can be found in Council Grove, Kansas, so make your own plans to visit this “jumping off point” for the Santa Fe Trail. You may be surprised what all you discover. 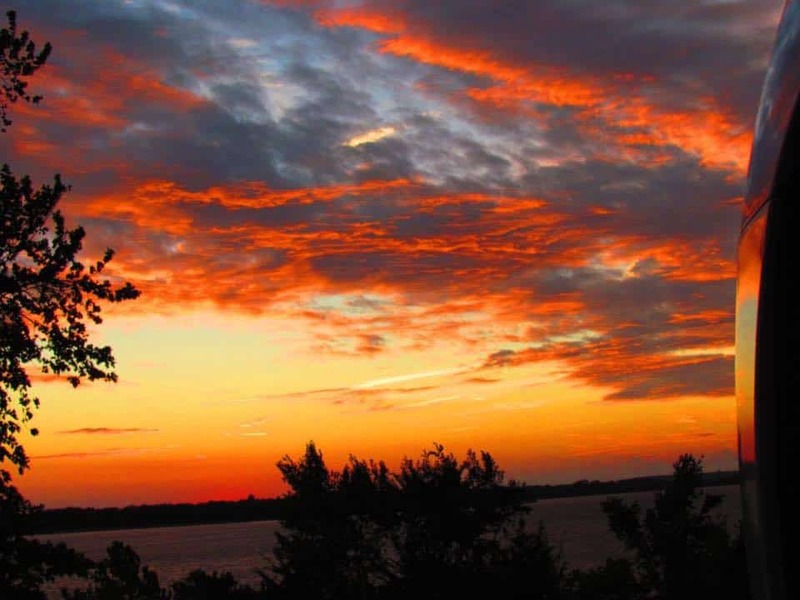 Be sure to wrap up your visit with a side trip to one of the two lakes north of town to catch a beautiful Kansas sunset. They are hard to beat! Make history and share this article with a friend!